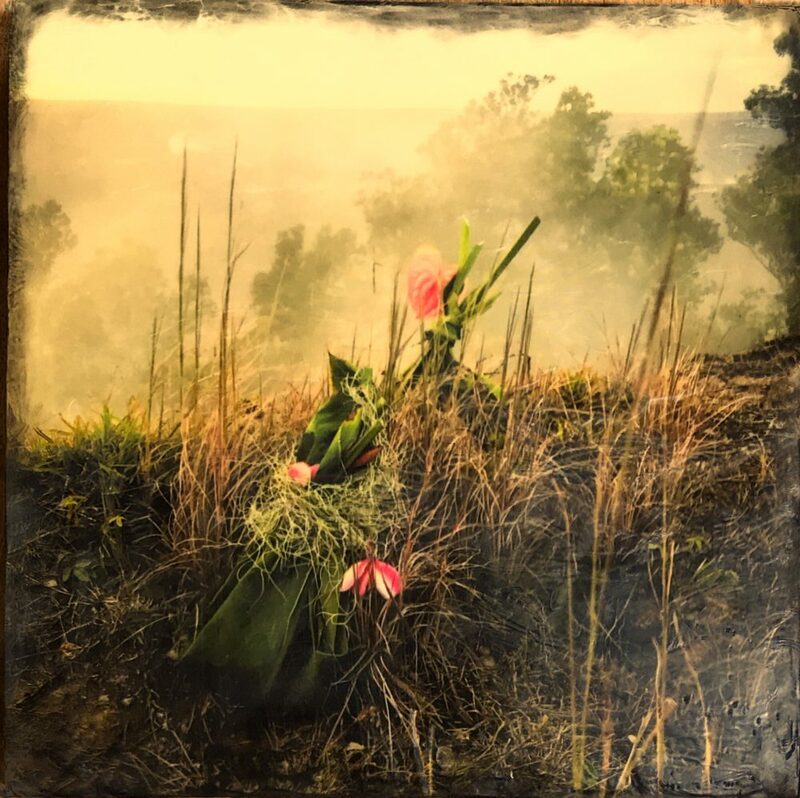 As the Island of Hawaiʻi prepares for the annual Merrie Monarch Festival, the week-long celebration of Hula featuring the acclaimed hula competition, the Volcano Art Center welcomes you to the exhibition On Sacred Ground – An intimate collection of hula images by Dino Morrow. 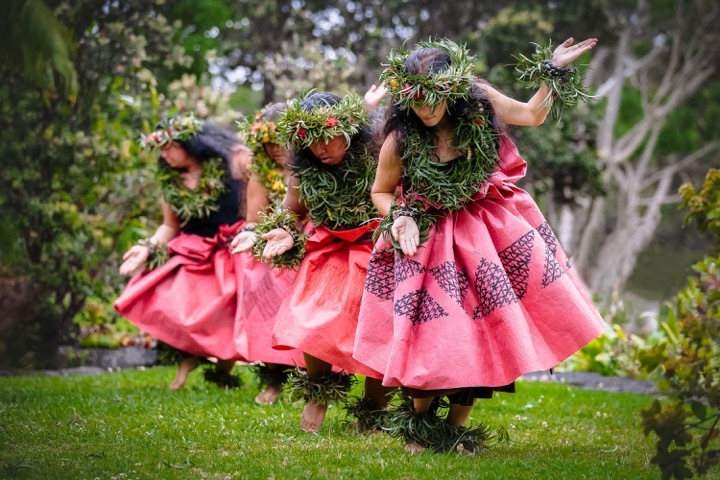 The exhibit highlights the Hula Arts At Kīlauea Program, which features free monthly Hula Kahiko Performances and other hula related arts on a year-round basis in Hawaiʻi Volcanoes National Park, through the documentary photography of Dino Morrow. The exhibit opens on Saturday, March 30th at the Volcano Art Center Gallery in Hawai’i Volcanoes National Park. The public is invited to an opening reception with the artist that same evening from 5 to 7pm. The Volcano Art Center is pleased to have had the contribution of this world-class hula and documentary photographer during the 2018 Hula Arts At Kīlauea Program. His strong visual aesthetic and attention to detail paired perfectly with the dynamic location in capturing authentic Hula Kahiko performances and other hula related arts. The Hula Arts At Kīlauea Program offers the following activities, free of charge, year-round: monthly live outdoor Hula Kahiko Performances paired with hands-on cultural demonstrations, weekly Aloha Friday programs which offer short classes on a wide range of hula arts, monthly Hula Voices presentations featuring evening “talk story” sessions with hula practitioners and an annual May Day Celebration. 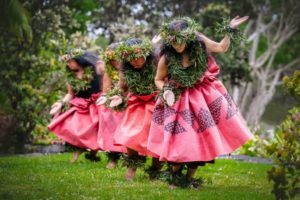 The performances and hands-on activities given by recognized Hawai’i Island resident practitioners provide a greater awareness of the hula arts as a cultural experience and as a way to feel a deep connection to the environment. The non-performance hula activities provide intimate, hands-on, enriching experiences to participants. All VAC Hula Arts Programs help support cultural practitioners in perpetuating the hula arts and in sharing the Aloha Spirit. These ongoing programs allow the Volcano Art Center to continue its long tradition of culturally rich programming. 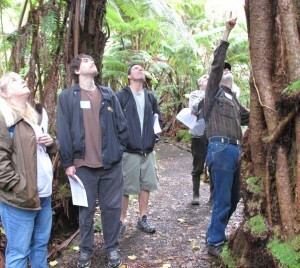 Support from Hawaiʻi Tourism’s Community Enrichment Program allows these programs to be shared with visitors to Hawaiʻi Volcanoes National Park. 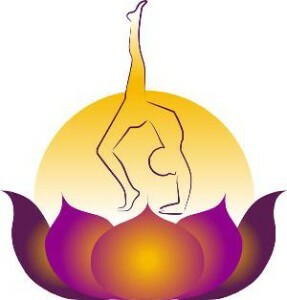 For a complete schedule of events please visit www.volcanoartcenter.org/hula-arts/ or call 808-967-7565. 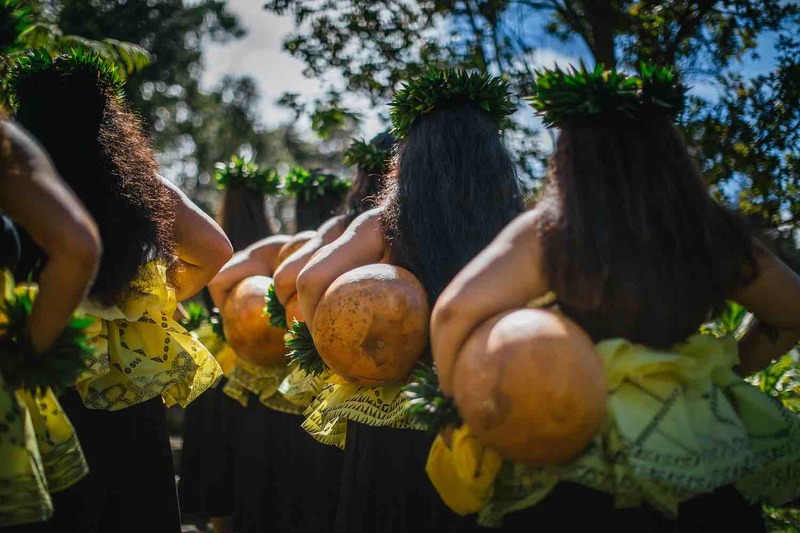 The Volcano Art Center invites you to view the beauty and experience last year’s events by visiting the exhibition Ancient Hula Through the Photographer’s Lens by Dino Morrow. The photography exhibition will be on display through May 5th. A special evening presentation by Morrow will be held on Thursday, April 18th starting at 6:30pm. The evening program will share the extensive collection of intimate images captured during various hula performances. The presentation will take place at the Ni‘aulani Campus of the Volcano Art Center, located at 19-4074 Old Volcano Road, in Volcano Village. Volcano Art Center is a 501(c) 3 nonprofit organization created in 1974 whose mission is to promote, develop and perpetuate the artistic, cultural and environmental heritage of Hawaii through arts and education. 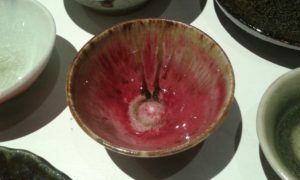 Please visit www.volcanoartcenter.org for more information. 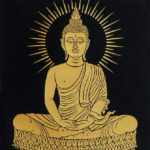 Insight (or mindfulness) meditation, from the Buddhist tradition, is a simple practice useful to everyone, regardless of faith. This weekly class is intended for both the beginning and experienced students. 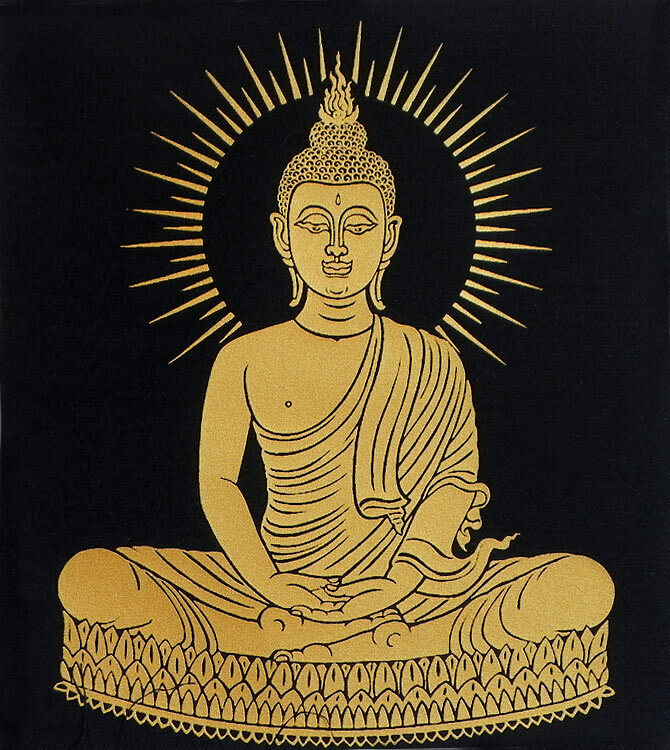 Mary Grace Orr has practiced Vipassana since 1983 and was trained to teach by Jack Kornfield. Donations will be gladly accepted. For more information contact Mary Orr at mgrace.orr@gmail.com. 8 week session beginning Sunday, April 7, 2019, through Sunday, June 2, 2019 with no class on April 21. There will be a morning session from 11:30am – 2:30pm or an afternoon session from 2:45pm – 5:45pm. Have you experienced the pleasure of putting your own handmade functional pottery into use? All skill levels are welcome to join us at Volcano Art Center’s ceramic studio where we will be working with stoneware clay and high-fire reduction glazes. 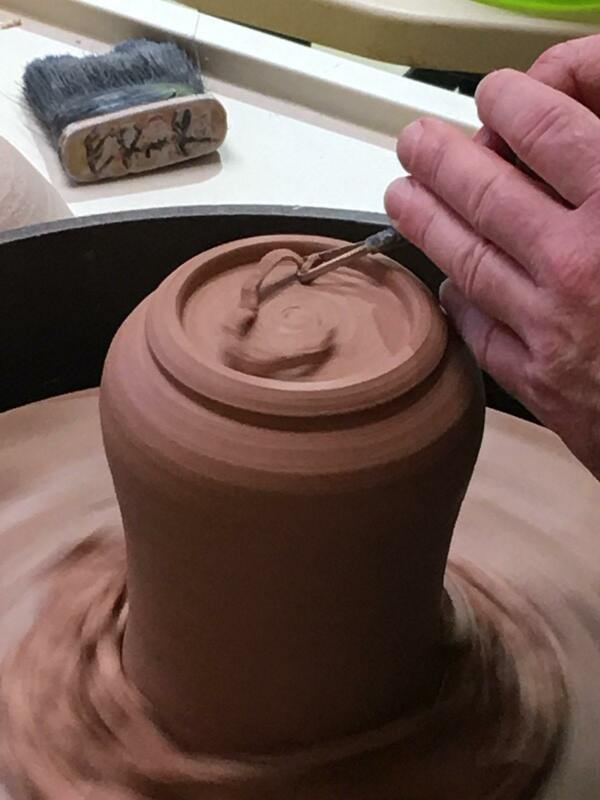 Teaching artist, Erik Wold, will provide instruction for this class including demonstrations of wheel throwing methods and be available for individualized assistance. Those new to clay will be guided step by step through the basics of using the potter’s wheel or handbuilding techniques. Continuing students and those with previous experience are encouraged to develop their skills and are welcome to pursue more advanced directions with the instructor’s helpful input. Informal discussion on topics ranging from sources of creative inspiration to various pottery styles and traditions from around the world will supplement this hands-on learning experience. Seven registration slots are open to “wheel throwers”, and two additional places will be open to “hand builders”. Beginners as well as continuing students are welcome. Cost for the morning session is $200/$180 for VAC Members plus a $15 materials fee for 6 lbs of clay, which includes glazes and firing for that material. Additional clay will be available for purchase. Open studio time will be available to registered students on Wednesdays from 2 – 5pm. Cost is $10 per day, with tickets available at the Administration Office front desk during business hours. Must be registered for a ceramics class to participate. Erik Wold is a full time potter living in Volcano Village. He is a member of the Volcano Village Artists Hui, and sells his wares regularly at the Saturday Hilo Farmers Market, and Sunday Cooper Center Farmers Market in Volcano. Erik studied Ceramics at the University of Hawaiʻi, Hilo, graduating in 1993. 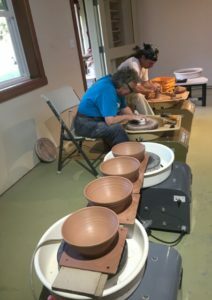 Cost for the afternoon session is $200/$180 for VAC Members plus a $15 materials fee for 6 lbs of clay, which includes glazes and firing for that material. Additional clay will be available for purchase. Yoga with Emily Catey Weiss. 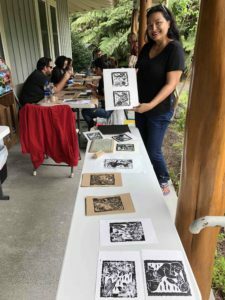 VAC’s Legacy Program has inspired a new series of Hawaiian Values Printmaking Classes beginning in September! 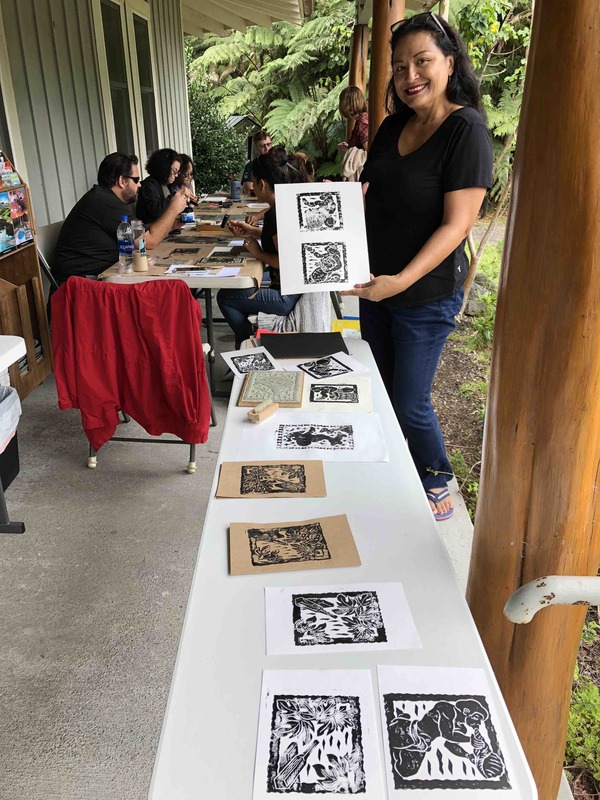 Using a collection of donated linoleum block prints by Dietrich and his wife Linda, participants can witness the direct connection between the natural environment and Hawaiian principles and values. Instructed by Desiree Cruz. 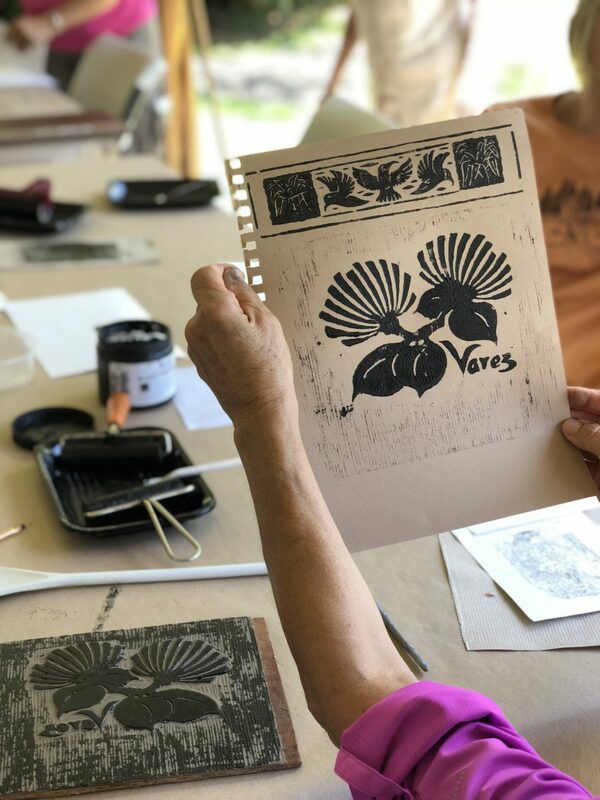 From 11am – 1pm on Mondays (excluding holidays), following the guided Ni‘aulani forest walk, guests can ink carved linoleum-block prints depicting flora and fauna found in the diverse Hawaiian rainforest environment. These programs are supported by the County of Hawai‘i Research and Development Office. Registration is not required and the classes are free, however a $5 supply fee applies. Please call (808) 967-8222 for more information. Popcorn & snacks available for purchase! Hans Zimmer is one of the most successful and celebrated film music composers working today. His multi-award winning career reaches back to the mid-eighties and his credits include some of the biggest blockbuster movies of all time along with acclaimed TV series such as The Crown and Planet Earth II. Join the Volcano Art Center for Monday Movie Night as we plunge into this immersive concert that was filmed in Prague among 17,000 attendees during Hans Zimmer’s hugely successful European concert tour. Accompanied by a band, orchestra and choir, and guitarist Johnny Marr of The Smiths, this epic staging was spectacular with stunning visuals, and was recored onto a state of the art sound system. This show is a treat for lovers of both great music and great movies! 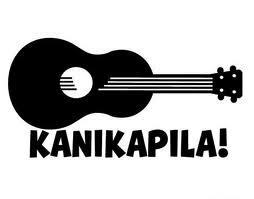 Kanikapila jam sessions are held on Tuesday evenings, from 5:30 – 7:00 pm and are open to all musicians. Bring your own instrument and enjoy ‘garage style’ jamming. Donations gratefully accepted. Held at the Volcano Art Center Ni‘aulani campus. Have you always wanted to learn Hawaiian but haven’t had the time? Just visiting the islands and want to immerse yourself in the culture? Or, are you new to the islands and unsure of how to pronounce street and place names? There are ever-increasing numbers of fluent Hawaiian speakers and now you can begin to learn this rich and vibrant language. Papa ʻŌlelo Hawaiʻi Level 1 will be offered for 8 weeks every Thursday night beginning March 28 – May 16, 2019, from 4pm – 5pm. This basics class will focus on simple vocabulary, conversation, grammar, and sentence structure. 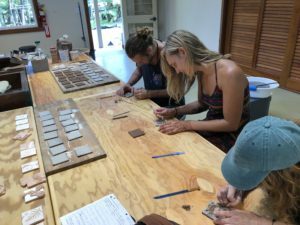 Classes will be held at Volcano Art Center’s Ni‘aulani Campus. Fee for the class is $90 and $80 for VAC members. Papa ʻŌlelo Hawaiʻi Level 2 will be offered for 8 weeks every Thursday night beginning March 28 – May 16, 2019, from 5pm – 6:30pm. This class will focus on expanding simple vocabulary, conversation, grammar, and sentence structure. Papa ʻŌlelo Hawaiʻi Level 3 will be offered for 8 weeks every Thursday night beginning March 28 – May 16, 2019, from 6:30pm – 8pm. Some Hawaiian language experience is preferred for this series. Aloha Friday cultural demonstrations are held each week from 11 am – 1 pm on the porch of Volcano Art Center Gallery in Hawai‘i Volcanoes National Park. 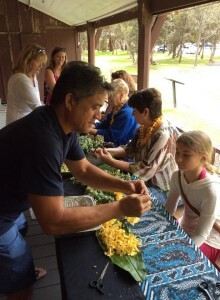 This month’s offerings include: Lei making with Kaipo Ah Chong. 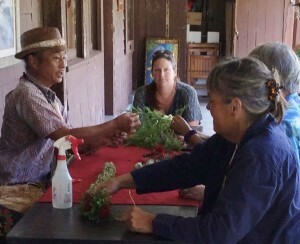 Tropical Agriculture farmer Kaipo Ah Chong will share his expert lei-making skills with VAC visitors. As a member of Halau Na Kamalei, his unique experience marries the science of agriculture with Hawaiian lei and hula traditions. Our digestive system is home to a complex diversity of living microorganisms, which are impacted by what we eat and drink. These microorganisms, which include probiotics, directly influence our own health; from aiding digestion, to clearing skin, to boosting our energy. We can nurture the health of these internal microorganisms by eating probiotic-rich, fermented foods. Fermented foods have been a part of every ancient culture throughout history. Sauerkraut, pickles, and yogurt are a few of the many traditional live-cultured, fermented foods. These foods developed out of the need to preserve food, before refrigeration was possible. 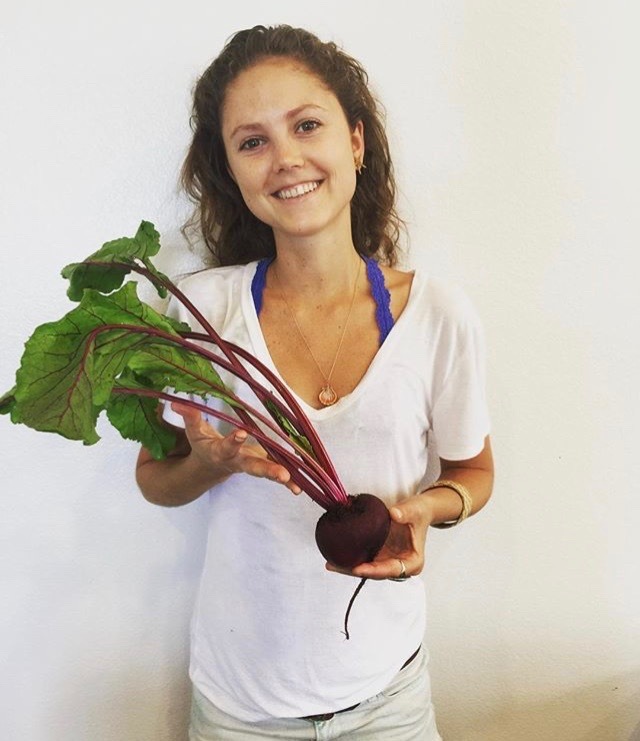 Join Jasmine Silverstein of HeartBeet Foods in this hands-on fermented foods workshop on Saturday, April 27, 10am – 1pm at Volcano Art Center Niaulani Campus in Volcano Village. Learn the basics of culturing cabbage and various vegetables into probiotic-rich Sauerkraut, as well how to make your own yogurt. Each participant will take home their own finished products. This informative and engaging workshop will leave you prepared to make your own ferments at home! Cost for the workshop is $60 and $55 for VAC members plus a $10 supply fee. Pre-registration is required. All supplies and Organic ingredients provided. - No cooking skills necessary, just an interest in real, whole food. 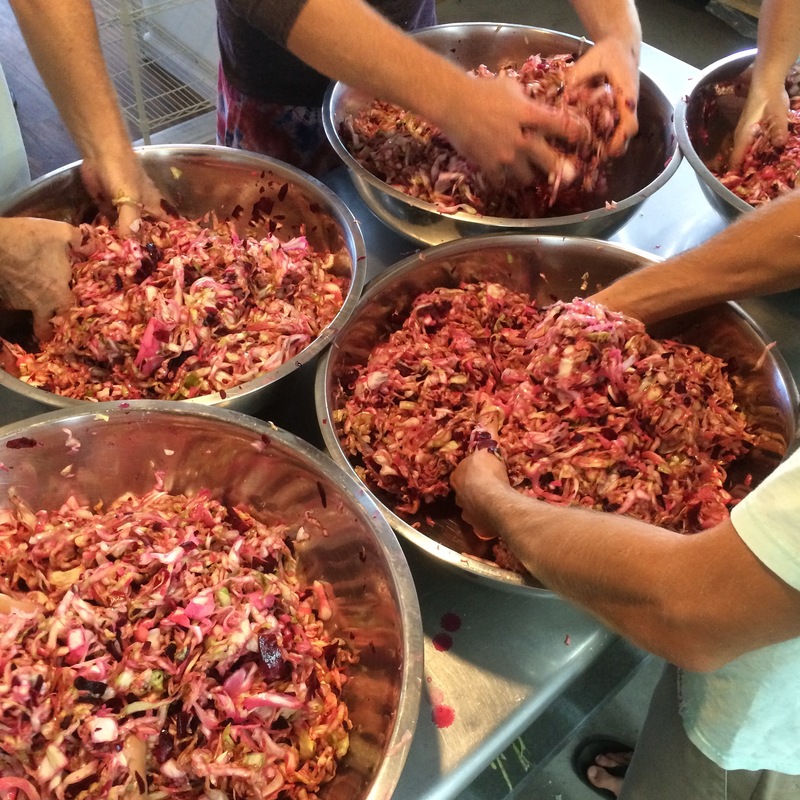 - Fermentation is an Art not a Science… It’s flexible and fun, not rigid or difficult. Jasmine is a holistic chef and retreat caterer on the Big Island. 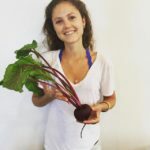 She began experimenting in the world of fermentation in 2011, shortly after being diagnosed with a severe autoimmune condition. The benefits she has received from discovering and engaging in the world of microbes has proven to be invaluable. She hopes to share her experience and inspire others to cultivate their own health. Find more information about Jasmine and her services at www.heartbeetfoods.com. Have you always wanted to write a book but don’t know where to start? Is fear holding you back? Do you wonder where you’ll get the time to write? You know the story needs to be told—your voice wants to be heard. You feel it deep in your soul. Don’t let uncertainty hold you back. 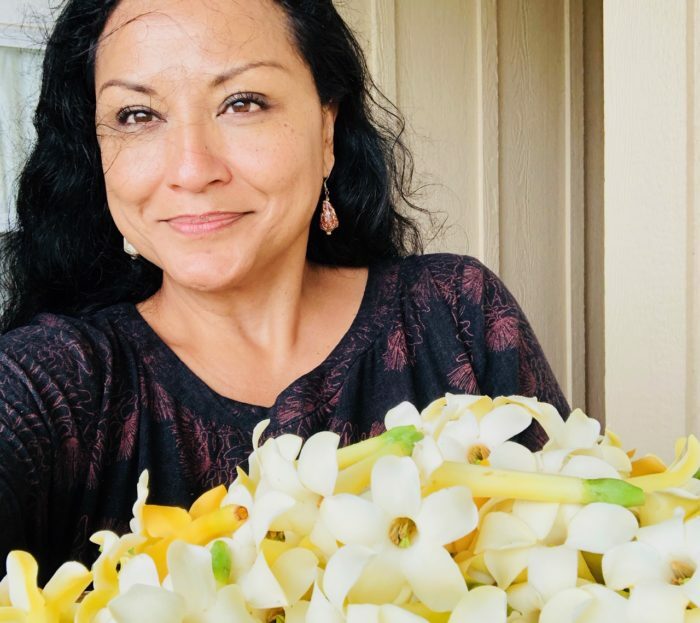 Join Dr. Heather Rivera for the 1 ½ hour creative writing workshop, “Healing Through Words” on Saturday, April 27 from 10am – 11:30am at Volcano Art Center Ni‘aulani Campus. She will use imagery, visualization, and prompts to help you tap into your creative muse and discover the healing power of writing. You will also have the opportunity to share your writing in a safe supportive environment, if you choose. Amazon best-selling Author, Heather Rivera, found healing while writing her first novel and has been sharing the power of writing in workshops. Find your voice and let the words flow. Class fee is $35/$30 VAC Members. 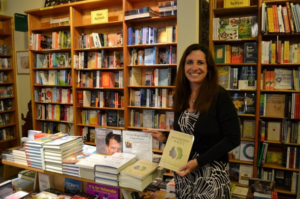 Dr. Heather Friedman Rivera obtained her Ph.D. in Parapsychic Science in 2011, her Doctorate in Law in 2002 and is a Certified Clinical Hypnotherapist specializing in Past-life Regression. She trained with Dr. Brian Weiss at The Weiss Institute. Heather is also a retired Registered Nurse with over 25 years of experience. She is the author of nine books, contributing author in seven books, and author of numerous articles. She serves as an editor for the International Journal of Regression Therapy. Heather has been featured in print, radio, and web television. 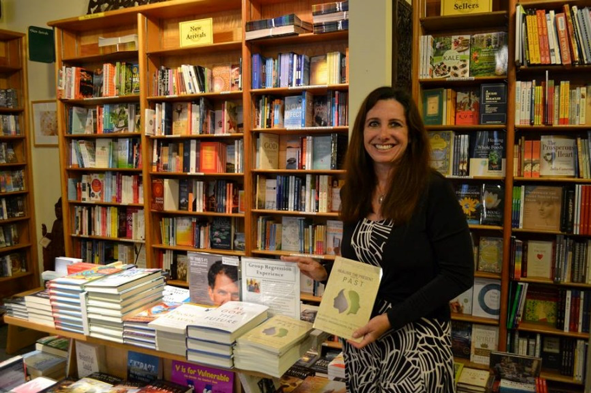 Heather holds workshops and retreats on writing and past life regression, and coaches writers from dream to book-in-hand. You’re invited to the opening of VAC’s newest sculpture garden exhibition entitled, Interplay: Art Science, featuring the works of eight local sculptors, Clayton Amemiya, Henry Bianchini, Stephen Freedman, Elizabeth Miller, Michael Shewmaker, Erin Skelton, Jonathan Sudler and Emsy Takahashi. In addition, two works by Fred Roster and Jean Bruce are installed fronting Old Volcano Road. These works are from the Art in Public Places Collection from the Hawai‘i State Foundation on Culture and the Arts. Rachel Getting Married opened the 65th Venice International Film Festival. Anne Hathaway stars as Kym Buchman, as she is released from drug rehab for a few days so she can go home to attend the wedding of her older sister, Rachel. May Day is Lei Day! May Day is Lei Day! Come celebrate May Day at the Volcano Art Center Gallery porch on Wednesday, May 1st! 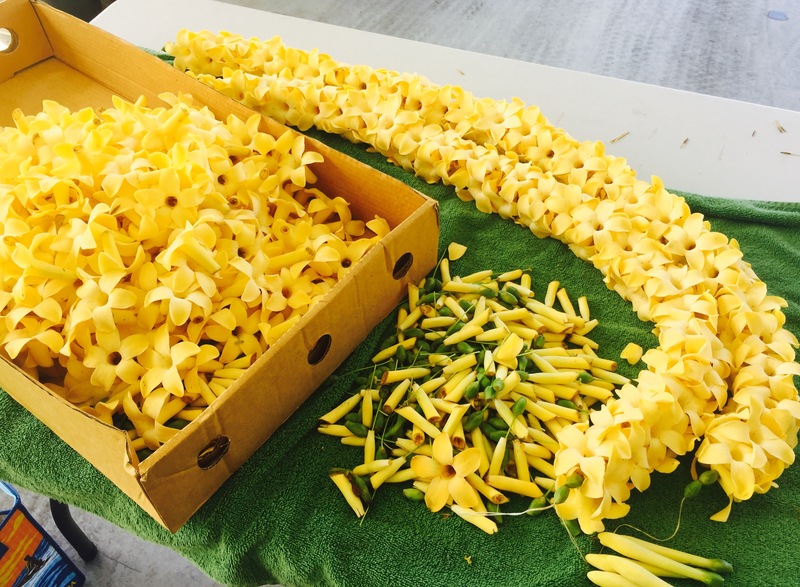 Everyone is invited to join in the festivities from 11am – 1pm, featuring hands on lei making demonstrations, live music and hula dancing. May Day honors the unique way that Hawaiʻi’s multi-cultural traditions are woven together to create a more interesting, more tolerant and more beautiful community. 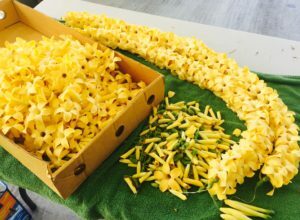 With hundreds of fragrant blossoms and plant materials provided by the Volcano Art Center Gallery, learn tips to sewing the perfect lei, the proper protocol of giving and receiving a lei and more. This free event at the VAC Gallery in Hawaiʻi Volcanoes National Park is supported in part by a grant from the Hawaiʻi Tourism Authority. National Park entrance fees apply. Aloha Friday cultural demonstrations are held each week from 11 am – 1 pm on the porch of Volcano Art Center Gallery in Hawai‘i Volcanoes National Park. This week’s offerings include: Slack Key Guitar with Randy Lorenzo. Randy is a much loved long time member of the local music scene in Hawai‘i. He is a multiple Hoku and Grammy award winner. His resume is impressive, including recording with, or being a founding member of, Olomana, Country Comfort, Gabby Pahinui, Peter Moon Band, and Ry Cooder among others. He is also an accomplished solo performer and singer songwriter. 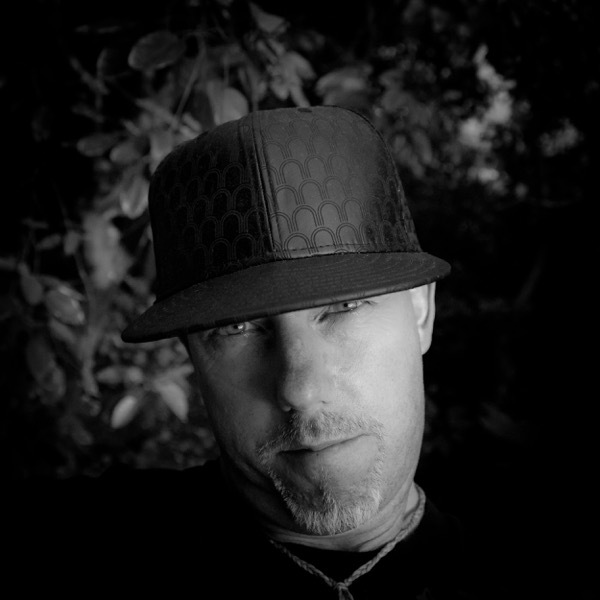 Randy remains active, playing and recording locally and occasionally on the mainland. 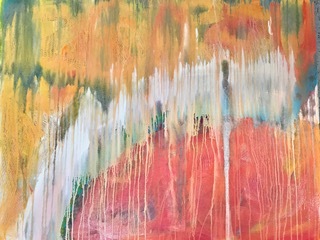 Join Darcy Gray for the Abstract Painting workshop on Saturday, May 4, 2019, from 10am – 2pm at Volcano Art Center Ni‘aulani Campus in Volcano Village. This class is for those with a basic painting background who would like to explore the techniques of abstract painting. Darcy shares her passion for abstract painting in this introductory class which will help students learn how to take risks and gain more confidence in their own way of painting. Students will develop sketches into final art pieces, play with perspective and focus, work with colors, then push themselves to paint intuitively and at different scales. Sketch paper will be provided in class for warm up exercises and roughing out paintings. The class will paint on 18×24” heavy watercolor paper which has been gessoed. Darcy will lead students through fun drills throughout the class, and students will be able to take home all of their work. Basic acrylics paints, pencils, brushes, other tools will be provided in class, but students can bring their own if they choose. Class fee is $90/$85 VAC members plus a $20 supply fee for 5 sheets of 300lb watercolor paper, pre-gessoed. Advance registration is required and this workshop will be limited to 8 adults. Darcy Gray holds a B.A. in 3 dimensional design from the City of Birmingham University in England. Her work has been featured in multiple exhibitions throughout Hawai‘i and California, in both solo and group shows. 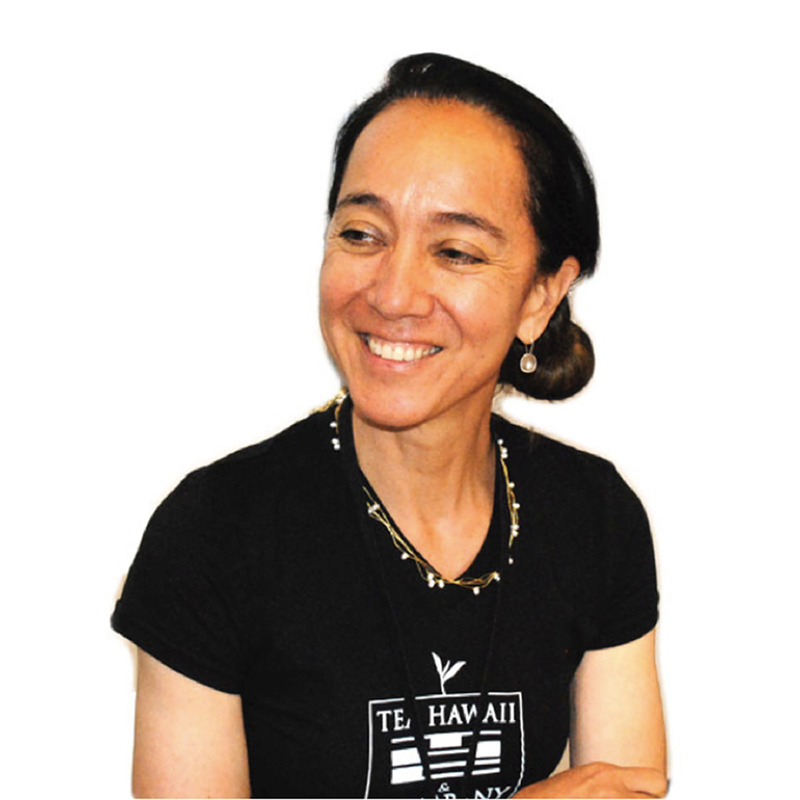 In 2016, she received awards from the Hawai‘i State Foundation on Culture and the Arts, Hawai‘i Island Art Alliance, and Honorable Mention in the 2018 Wailoa Center show, Jan Ken Po. 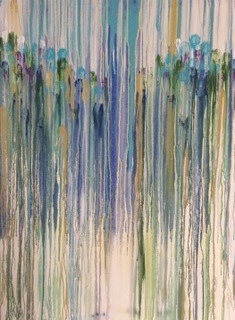 For more information on Darcy and her work, visit www.darcygrayfineart.com. Young Coco Chanel (Audrey Tautou) works as a seamstress by day and a cabaret entertainer by night, then she meets a wealthy heir (Benoît Poelvoorde) and becomes his lover and fashion consultant. Tired of the flowery hats, tight corsets and yards of lace that defined women’s fashion at the time, Coco uses her lover’s clothing as a starting point to distill an elegant and sophisticated line of women’s clothing that propels her to the top of haute couture in France. Walking into a sunlit forest, gazing upon a turquoise sea, hearing the strains of a haunting melody or the wind in the trees, we can be transported to other realms, out of the bounds of time and place. Utilizing music from many cultures, and images ranging from luminescent landscapes to microscopic crystal formations, Ken Goodrich’s multi-media explorations are a celebration of the spirit that animates all beings. Ken will also speak on the inspirations for his work that give form to his unique style of non-narrative light and sound experiences. This evening is part of the series of presentations at the Volcano Art Center, focusing on art, Hawaiian culture and our environment. The series is intended to inspire, enhance our art and life experience and foster community connections. The event is FREE, but a $5 donation is greatly appreciated. Goodrich’s career has included the design, and the implementation of large scale scenic, projection, audio and lighting systems for live events and televised broadcast, which included work throughout the U.S., Europe, Asia and Latin America. 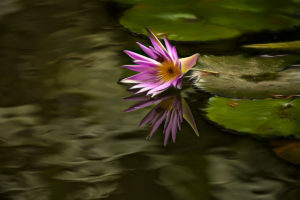 In the year 2006 he founded Hawaii Photo Retreat providing photo tours and instruction. His career has now come full circle to embrace his early love of photography. Currently Ken is focusing on fine art multi-media installations integrating projected imagery and music. The Volcano Art Center is pleased to announce the opening of Hulihia: The Hawaiʻi Nei Invitational Exhibition on May 11th. Seven outstanding artists were selected by members of the VAC Board of Directors in 2018 and presented with the theme Hulihia, meaning a complete change. The artists including Elizabeth Miller, Kathleen Mishina, Norman Negre, Robin Scanlon, Suzy Zenk-Thompson, Carol Ekela Tredway, and Robin Racoma have honored the extraordinary events of 2018 which have created new landscapes of our beloved Hawaiʻi Nei through their artworks. 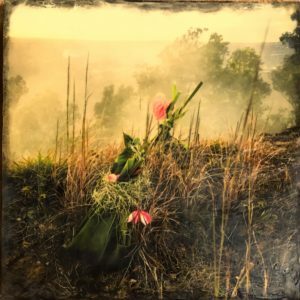 The multi-media exhibition will be on display through June 16th at the gallery in Hawaiʻi Volcanoes National Park. An opening reception for the artists takes place on Saturday, May 11th from 5-7pm. Zentangle is an easy-to-learn, relaxing and fun way to create beautiful images by drawing structured patterns. It is the repetitive nature of these patterns that brings us into a state of relaxed focus that some call meditation. 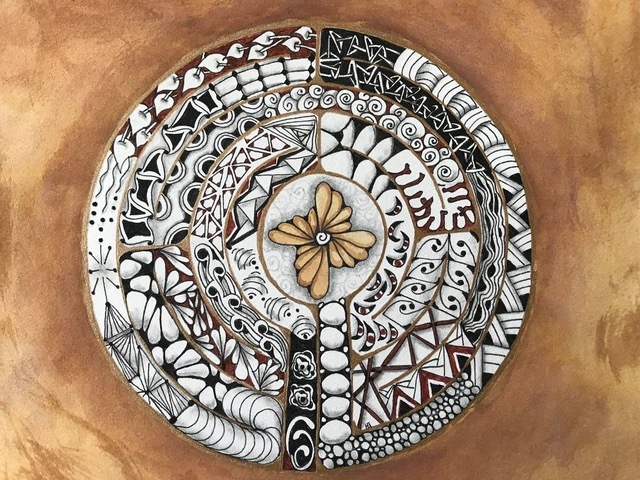 The Zentangle method can be approached as an art form and as a mindfulness meditation practice. Either way you can experience a state of relaxed focus as you learn how to deliberately shift your attention into the present moment. a “Zen Board” crafted by Lois using a Chinese water Calligraphy mat – a magic surface where your drawings disappear. Everyone is welcome. No prior knowledge of the Zentangle Method is necessary. This is a potluck so please feel free to bring some food to share. Cost is $35/$30 VAC members plus a $10 supply fee. Students are invited to bring snacks to share. Volcano Art Center is pleased to present the Volcano Chamber Players in a classical music concert to celebrate Mother’s Day on Sunday, May 12, 2019, from 3 to 5pm in Volcano Art Center’s Dietrich Varez Hall at Niaulani. Treat your mother, or yourself, to beautiful music and complimentary pupu. Beverages and flowers will be available for purchase. The Volcano Chamber Players are Susan McGovern on viola, Glenda Johnson and Rumi Reeves on violin, and Meg Saunders on cello. A selection of the pieces to be performed include: Ave Maria, Mozart’s String Quartet and Fugue, Moon River by Henry Mancini, and Harry Potter by John Williams. There will also be a guest performance by Gerdine Markus on recorder. In addition, we will be treated to the operatic vocals of D`Andrea Pelletier. The concert is a special tribute to mothers and will entertain the entire family. Tickets are $25/$20 for VAC Members, free to children 12 and under. 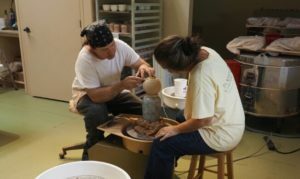 To purchase tickets, call Volcano Art Center at 808-967-8222 or visit www.volcanoartcenter.org. 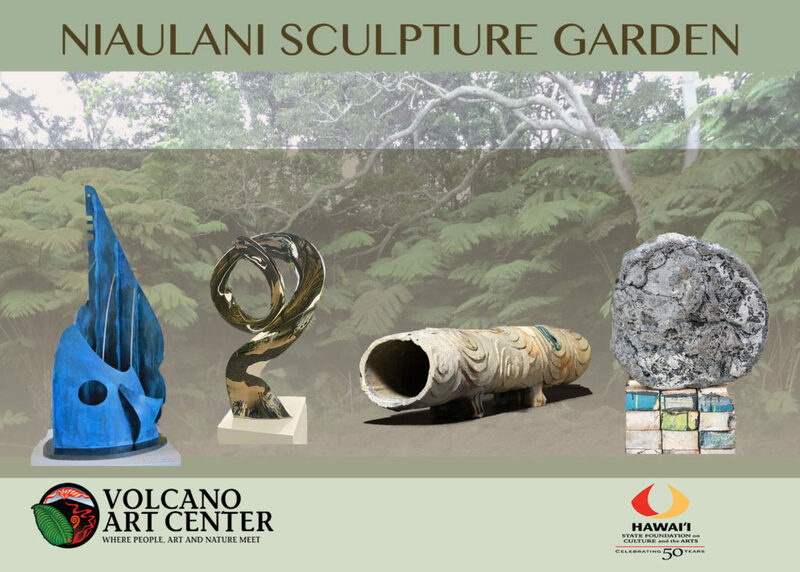 Funds raised from this event will support the Niaulani Sculpture Garden and ongoing programs at Volcano Art Center. Niaulani Campus is located at 19-4074 Old Volcano Road in Volcano Village. As an Oscar-nominated actress and bestselling author, Mariel Hemingway says she knows how some people perceive her. “Tall, blonde, no problems.” As her name might suggest, Mariel is the granddaughter of Ernest Hemingway. This documentary explores her famous family’s past that has been plagued by dark secrets, with a troubling history of suicide and mental illness. On Mariel’s search for a deeper understanding of the tragedies in her family, she says that she has learned how to live. So while some people may still see her as the “tall blonde,” Mariel pushes the boundaries of her families “curse” to become a happy empowered woman living without fear. Anyone can paint beautiful watercolors – even you! Artist Nancy DeLucrezia will offer the “Wonderful World of Wine & Watercolor” workshop on Tuesday, May 14 from 4 pm – 7pm at Volcano Art Center Ni‘aulani Campus in Volcano Village. Nancy will show you how to transfer a photo onto watercolor paper and introduce you to all the basic techniques you need to create a lovely painting of your picture. Techniques covered will include basic palette setup, color theory and mixing, masking, wet in wet, texturizing and how to create depth, highlights and shadows. 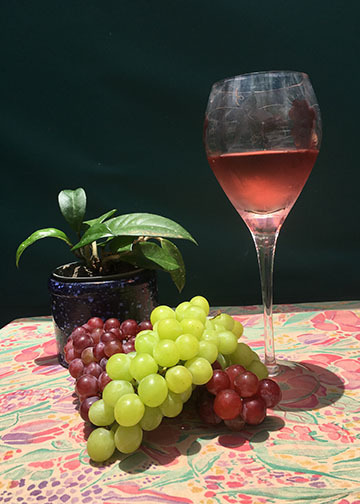 During the class, participants will enjoy a sampling of several wines from the wine store “Grapes” in Hilo. Class fee is $35/$30 for VAC members plus a $17 supply fee. A still life photo will be provided for students to paint. Nancy DeLucrezia majored in art at the State University of New York as a photographer and printmaker and has painted with watercolors for over 25 years. She has run a Japanese art gallery in New York City, designed public relations campaigns for several arts organizations, and developed a series of drawing and painting classes for children as well as an art therapy curriculum for adults. 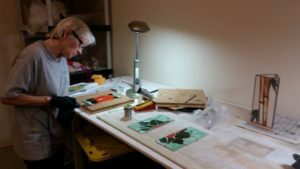 Before moving to the Big Island she was a member of the Santa Barbara Watercolor Society and Working Artists Ventura (WAV) where she produced and participated in numerous art and theatrical events. She also served as Director of Art Programs for Turning point Foundation and taught watercolor painting to adults with special needs. Aloha Friday cultural demonstrations are held each week from 11 am – 1 pm on the porch of Volcano Art Center Gallery in Hawai‘i Volcanoes National Park. This week’s offerings include: hula and oli with Kaho‘okele Crabbe. 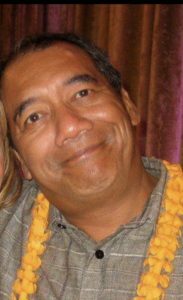 Kumu hula of Hālau Ke Ola o Ka Lani, Moses Kaho‘okele Crabbe shares his extensive knowledge to teach the basics of hula, language and chant. 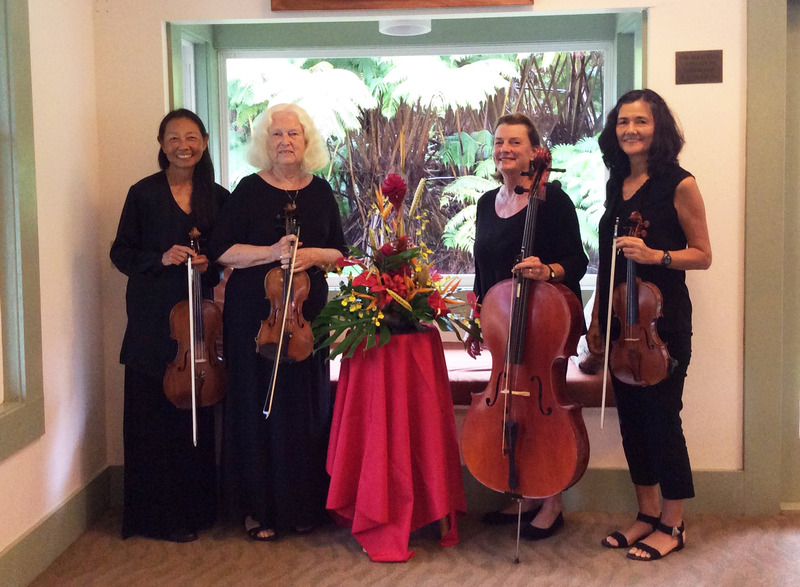 These free cultural events are supported in part by a grant from the County of Hawai`i, Dept. 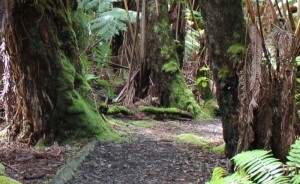 of Research and Development and the Hawai‘i Tourism Authority. Whimsical shapes, illustrative scenes or divine stories, stained glass has re-created the light in our lives for centuries. Stained glass artisans use both glass color and texture to produce light forms and patterns creating mood and character in small and large spaces. Want to know more? Then this four-session stained glass workshop will shed some light on the process of stained glass. Now you can try your hand at making stained glass art in this workshop for beginners. 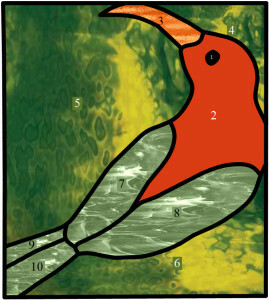 All of the basic techniques will be covered, from glass cutting, foiling, soldering, and completing with patina and polishing compound. Glass artist Lois Pollock will share her expertise and knowledge, teaching students the skills involved in working safely with stained glass, and creating a beautiful, sturdy piece of art. 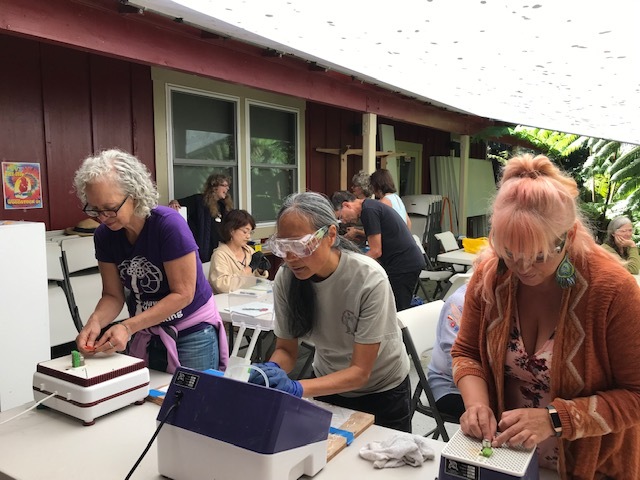 “Stained Glass Basics I” will be held at Volcano Art Center on May 18, 25, June 1, 2, 2019: Saturday and Sunday from 9am – 1pm. Class fee is $100/$90 for VAC members plus a $15 supply fee. Attendees are asked to wear long pants, snug fitting gloves, covered shoes and safety glasses. Advance registration is required and this workshop will be limited to 6 adults. 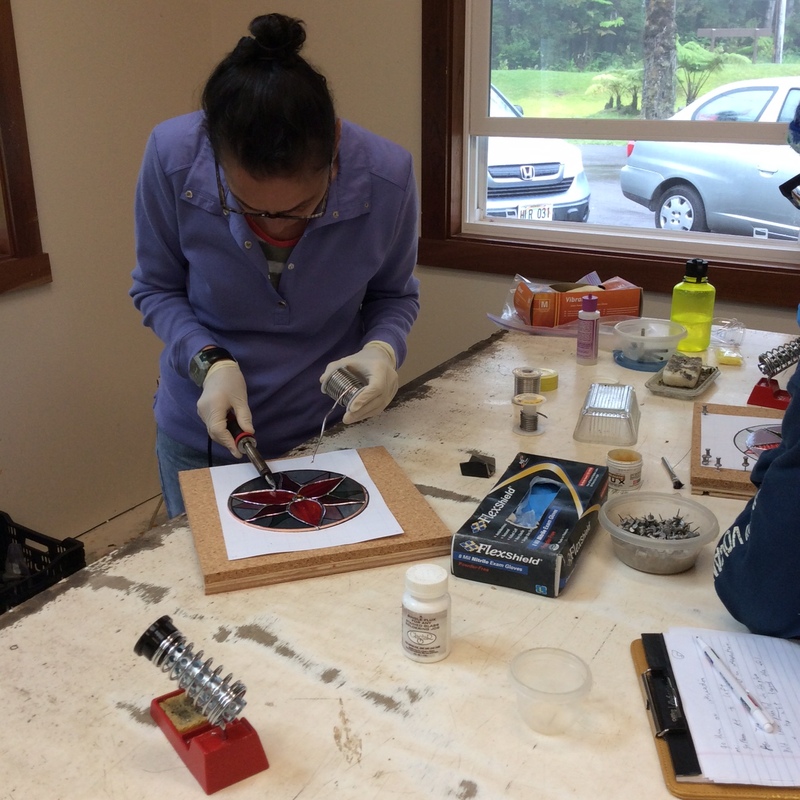 You will complete this 4-session workshop with a finished light-catcher, and the knowledge and experience of the basic skills involved to continue working with stained glass. The Volcano Art Center (VAC) announces the third annual A Taste of Tea & Pottery event to be held on Sunday, August 25th, from 12noon – 4pm at VAC’s Niaulani Campus in Volcano Village. 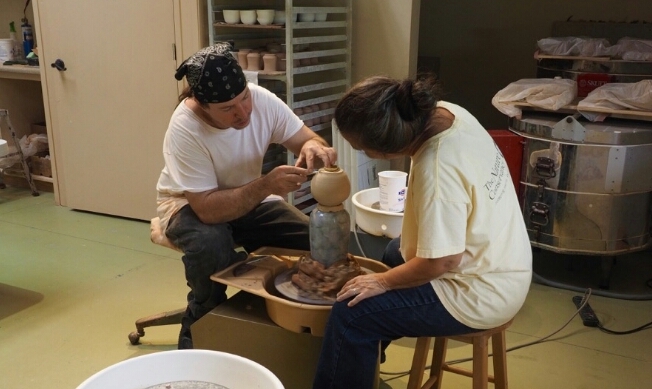 New to this year’s A Taste of Tea & Pottery fundraiser is the addition of a pre-event workshop series focusing on the role of the arts in tea culture and community. 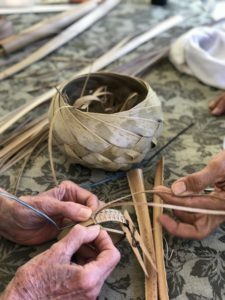 The Arts & Tea Culture Workshops are designed to be attended as a series, providing participants a glimpse into the long history and cultural significance of a handmade tea bowl while highlighting locally produced teas which have become a unique agricultural product for the state of Hawaiʻi. The Series is open to anyone interested in learning about the relationship between tea, arts and agriculture. No experience is necessary. The three afternoon workshops are scheduled for Saturdays, May 18th 12noon – 5pm, June 29th 1- 4pm and July 27th 1- 4pm at the Volcano Art Center’s Niaulani Campus in Volcano Village. 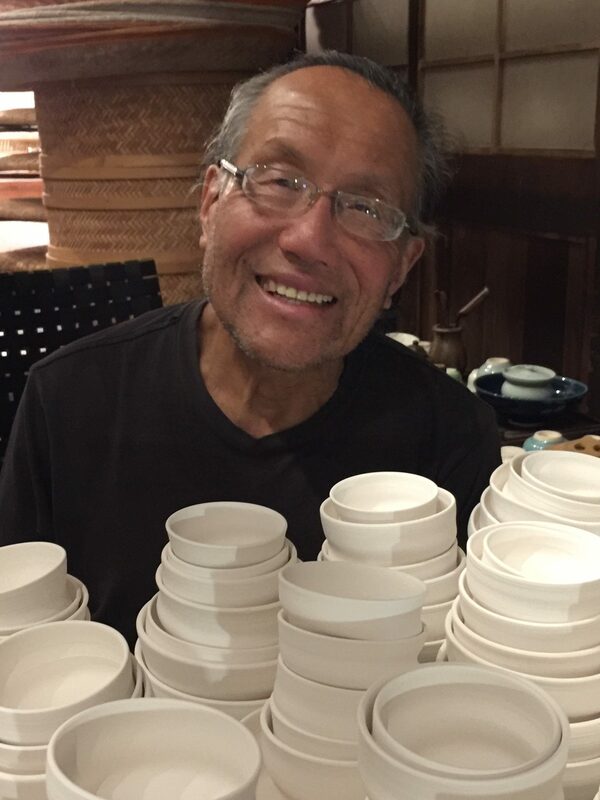 Participants will have the opportunity to hand build porcelain ceramic tea bowls with Volcano artist and tea farmer Chiu Leong. 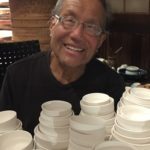 The session will introduce the history of tea bowl culture, a brief overview of local tea farming by Eva Lee and a focused cupping, tasting and education on Hawaii grown white teas. Students who attended workshop #1 will receive their bisque fired tea bowls from the previous session to glaze for high fire completion. In addition, a focused cupping and tasting of locally produced black teas with a brief discussion and demonstration on tea cultivar propagation for attendees to start a few tea plants on their own. Participants will collect their previously glazed bowls (new attendees will receive a new one to use) for the enjoyment of participating in a Japanese Tea Ceremony. It will be performed by artist and Chado practitioner Philippe Nault, along with an introduction to its origin, its evolution and its philosophical development as a “transformative practice”. A discussion on green tea, a brief review of Hawai`i green tea cultivation and production will follow. The series can be attended for $60 (VAC members) or $75 for non-VAC members. Individual workshops can be can be attended for $25 each. The first twenty members to register for all three workshops receive A Taste of Tea & Pottery ticket on Aug 25th for half price! Registration is limited, call 967-8222 to register today! To purchase tickets, enroll for the workshops, or get more information about our August 25th A Taste of Tea & Pottery event call Volcano Art Center at 808-967-8222. Proceeds from these special events will be used to help support the “Fire Arts” Program at VAC which includes ongoing ceramics and glass classes and workshops at the Volcano Art Center. 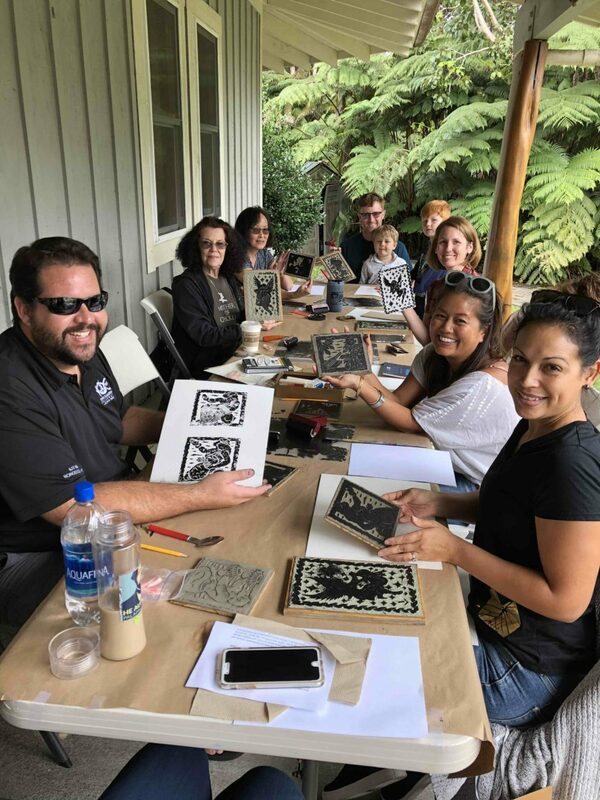 The Volcano Art Center is dedicated to offering these programs which, in part thanks to funds raised, are now expanding and include high-fire pottery, flame-worked glass, and stained glass, and ceramic classes for students of the nearby Volcano School of Arts and Sciences. The historically nomadic Badjao people, a Moro indigenous ethnic group of Maritime Southeast Asia, once spent the majority of their time on the water, living off the sea by trading and subsistence fishing. Today, the encroachment of modern civilization has caused that way of life to become nearly extinct. Walking Underwater features the story of Alexan, the last compressor diver and his nephew Sari on Mabul Island near Borneo, as a window into this disappearing culture. Alexan teaches Sari everything he knows, from dangerous fishing techniques and wisdom about the underwater world to the temptations of the tourist economy. This film creates a hybrid of fantasy, fiction, and fact to spin a magical narrative of the Badjao’s ancient traditions and collective experience. Aloha Friday cultural demonstrations are held each week from 11 am – 1 pm on the porch of Volcano Art Center Gallery in Hawai‘i Volcanoes National Park. Desiree Moana Cruz shares traditional and contemporary textile dyes and motif often seen in hula kahiko style costuming. She is an advocate for Kanaka Maoli practitioners and a member of Halau Na Kipu’upu’u of Waimea.